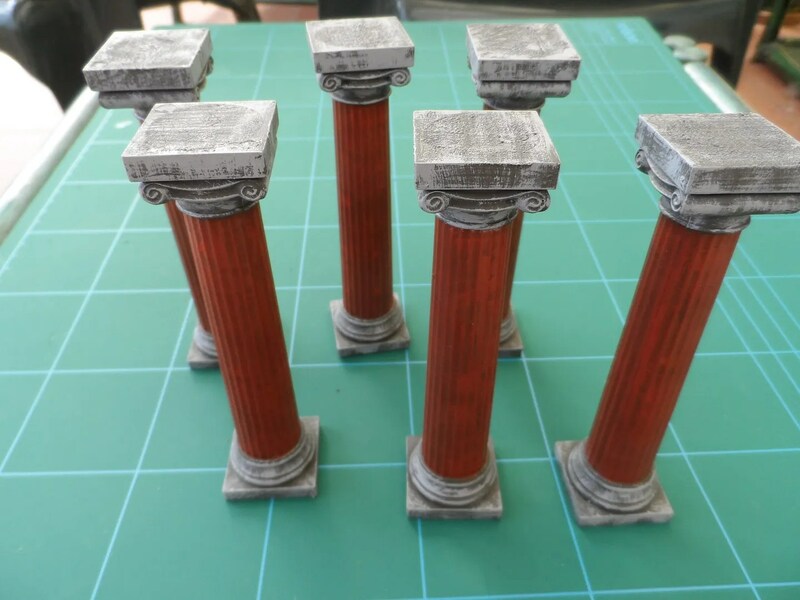 They’re five inches high, and I got a deal on 3 lots of 4 as it saved money, and leaves with six spares that I can use for other scenery pieces as and when. They came as plain white plastic and hollow. 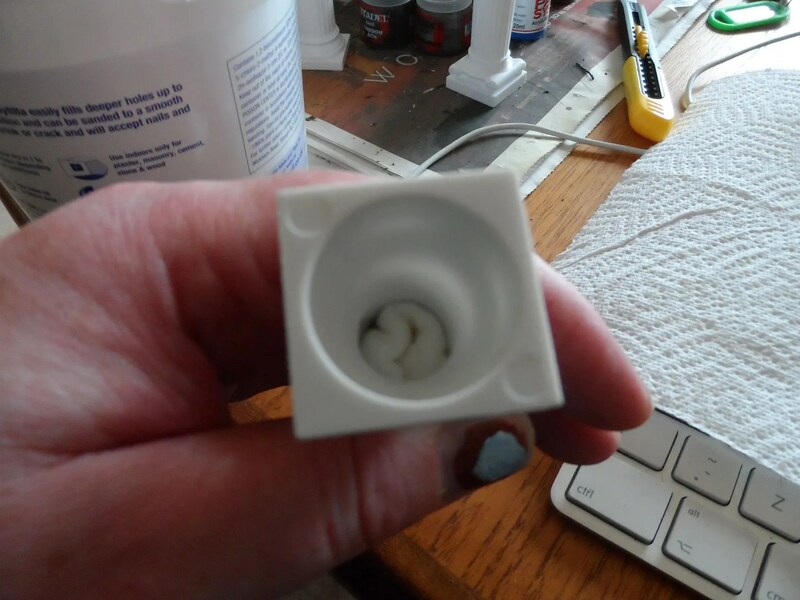 To keep wight and costs down, I packed the central hollow part of the pillars with screwed up kitchen roll. The ends I then plugged with ready made flexible polyfilla. This gives them some weight so they don’t got knocked over by a breath of wind or an angry look, but not too much to weight me down.